Italy’s wine scene is a glorious adventure from grape to glass. We asked our resident Florentine sommelier Bernardo Conticelli to share his wine-tasting basics: what to be aware of as you approach the glass, take your first glorious sip, and actually send the wine “down the hatch.” He offers 13 simple steps to tasting wine with the beginner in mind. In addition to Bernardo’s essential tips, we’ve added colorful commentary and tips from two of our Ciclismo Classico certified sommeliers: Giuditta Parisi and Alessandro Draghi. Veni, vidi, Vino! 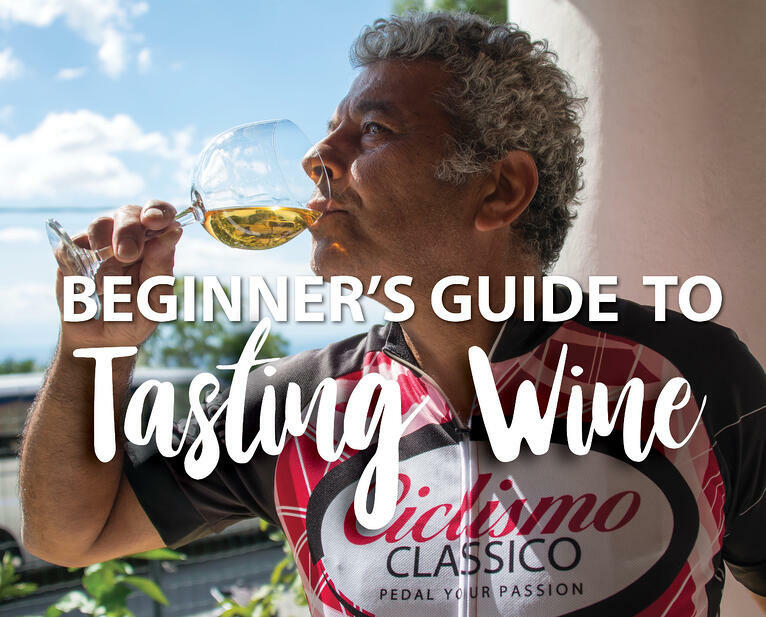 Get your free copy of "Beginner's Guide to Tasting Wine"
The Ciclismo Classico Bike Travel Film Festival is growing!